Note, I will update when I find more apps that are worth paying for. Check back for the updated list. I will post a best of the free apps list with links and descriptions later as I load them on my class iPads. There are so many wonderful free apps (THANK YOU DEVELOPERS- you are helping to change the future of so may children through putting quality learning activities in their hands!) that choosing the ones to pay for is difficult. My classroom budget has been cut the last few years and my family budget is going to be taking a big hit this year too. So, I do not take choosing which apps to pay for a class set of lightly. My criteria: Needs to meet my definition of a Teaching Tool. 2.) allowing for differentiation to meet each child's learning needs. -expensive... Even with 1/2 off via VPP a set of 24 apps still adds up, quickly. Well thought out 100 board, students can place tiles in order counting by 1's, and by 2's odd or even. They have a new app out too apparently that has skip counting by 2's-10's that I haven't tried. I love the varied activities and three levels of difficulty. WOW! A moveable alphabet that reads what the child (or adult, as I have fun with it too!) writes. It highlights words that are misspelled or spelled correctly. You can also do spelling quizzes. I need to try the full version, I have only used the beta so far but it was amazing. I really like the format, and combination of letter writing and sound pronunciation. The word games are great phonics practice too. By the same maker of Word Wizard. Simple crossword puzzles and a movable alphabet I've used for making words lessons. Has three levels of difficulty and great scaffolding support. for a measly $.99 this is a powerhouse app. Works on phonics, math skills, sight words, etc. Best of all it actually teaches and provides support if the child doesn't answer correctly. Throw away your Popsicle sticks! Pick a student randomly. Gives ideas of questions to ask and allows you to evaluate and track student answers. I would like to put this on student iPads (I would if it was free!) but plan on just having it on mine for now. Has a neat way of presenting ABCs for letter names, sign language and letter sounds. I may pay for a class set of this, after I test it with students. You should definitely have a copy for your students who need fine motor practice. by Splashtop Lets you control your computer from your iPad and use it as an interactive whiteboard. You still need a projector but you don't need a $1000 whiteboard anymore. Thank you for posting your favorite iPad picks and selecting my app "Stick Pick" as one of your picks! I, too, use it in my own sixth grade classroom every day. Good luck with your blogging efforts and sharing your journey with all of us. I use alot of these apps too. Great list! You might also like our Felt Board app for the iPad. It is designed for creative play as well as learning. Thanks for the list! I'm a new homeschooling mom so I love to find new apps to use! You're welcome! And the FeltBoard app is wonderful! I'm sorry but what does VPP stand for? I'm new to your blog. 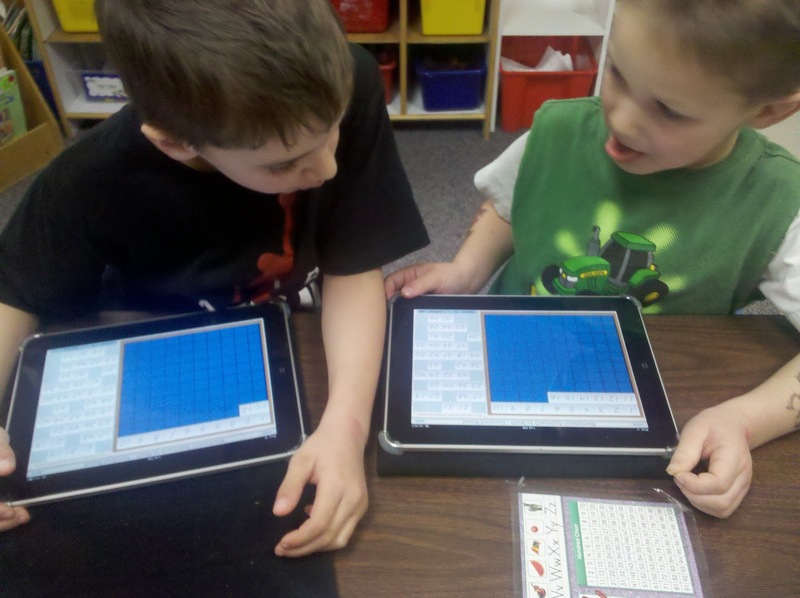 Thank you so much for adding some of your favorite iPad apps for use in the classroom! I am studying to be an early childhood teacher, and will be certified after next semester, so this is very useful to me. During my practicum experience this semester, my favorite apps that I used in my classroom of 3 and 4 years old was "Draw and Tell" and "ScreenChomp" - and the best thing was that they are both free! I found Draw and Tell to be very good for children's creativity with story-telling, and ScreenChomp was good to use as a follow-up activity for a lesson. Both apps allow for voice recordings which helped the children to articulate their thoughts and to express themselves.